More often than not, my end-of-day stress relief comes in the form of browsing Facebook for news and inspirational articles over a glass of wine. There’s nothing wrong with this scenario, I suppose, except that neither one of these activities seems to truly decompress my already overstimulated mind. 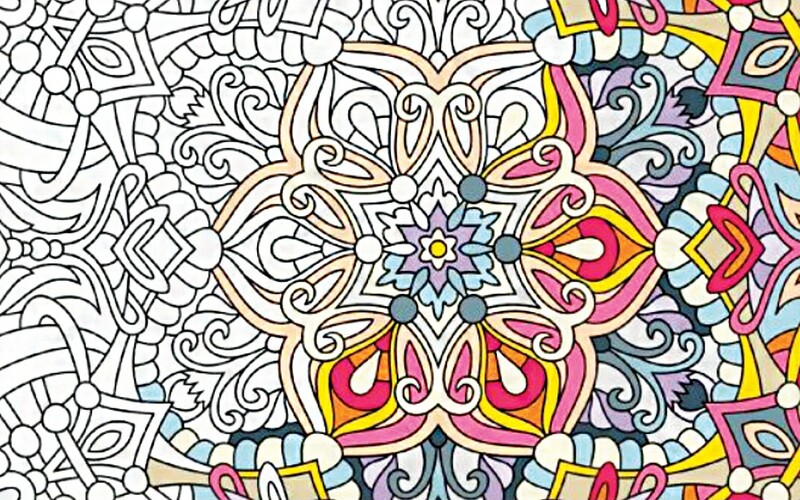 So, when I saw the beautiful patterns in Angie Grace’s Balance: Angie’s Extreme Stress Menders, Volume 1, I was dying to try coloring—for adults. Turns out that coloring isn’t good for just toddlers. It cuts through the adult-sized mess of information and unresolved emotions that build up over the day. And it’s addictive—in the way that swaying in a hammock or going for long, meditative runs is addictive. What makes Grace’s designs so uniquely stress relieving? “I think that for coloring to be deeply relaxing and restorative, it needs to have that certain magical element that we find in all of our favorite soul-soothing activities—the feeling of ‘coloring rhythm,’ very much like the feeling you get while knitting, playing music, rocking in a chair, or going for a peaceful walk,” explains Grace. To learn more about Angie Grace’s coloring books, visit www.angiegrace.com.